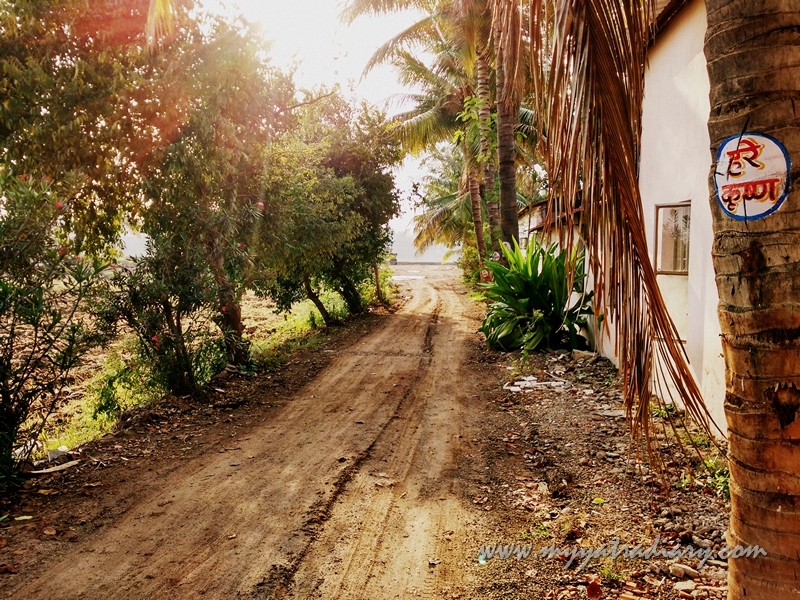 Nature trail at ISKCON Temple Guest House, Pandharpur. it sends the breeze in twirling flight. broken only by Your presence. So what if the road is torn and dirty? worn out, in patches murky. all worldly chaos miles apart. your one and only warden. lays her heart all open... and bare. Unplanned morning walks are the best, aren't they? This soulie is reminiscent of a few peaceful moments spent in the company of nature during my stay at ISKCON Temple, Pandharpur. Do watch out for a detailed post (with more pictures) coming soon! I love such stays experiencing nature and silence produced deep within unpaved and road less travel hold! Beautiful narrate and feel in poem. This is a nice poem, Arti. (did you write it?) I love poetry, so I appreciated this one. Nature is so good to us, and we can hear so many things, the birds, the animals, and even the wind, if only we listen. Have a splendid week, my friend. You are too kind for your appreciation Sheri, yes, I wrote this but am not a poet. Absolutely agree with you on nature, she is always so inspiring and soothing and any time spent in her company is bliss. Thank you so much for your kind and encouraging comment. Wish you a splendid week, too! I read in the comments above that you wrote this lovely poem. You my dear do have a talent! Such beautiful words obviously from the heart. Thank you for sharing.